5th January: The sparky’s turned up and spent the day installing our 1KW photovoltaic grid connect system. Fantastic. We had waited since November for this day. What with delays to the Government rebate scheme with the introduction of a $100,000 income limit and general slow government departments. So what a day. The electrician showed us the meter on the inverter when he swithched it on and lo! it went backwards on a cloudy day. Then he switched it off and tagged the switch. BOO HISS. Apparently Aurora Electricity; the ONLY electricity supplier in Tasmania have to install the new meters before it can be turned on. We enquired on how long. SO we wait with baited breath and steam coming from the ears. Keep you posted! Still waiting for Aurora to pull their fingers out and install the meters !! ← Gabby the “Garden Angel”. Happy xmas Mandy. The total cost of the system was approx $13,000 less the $8000 Federal Government grant. 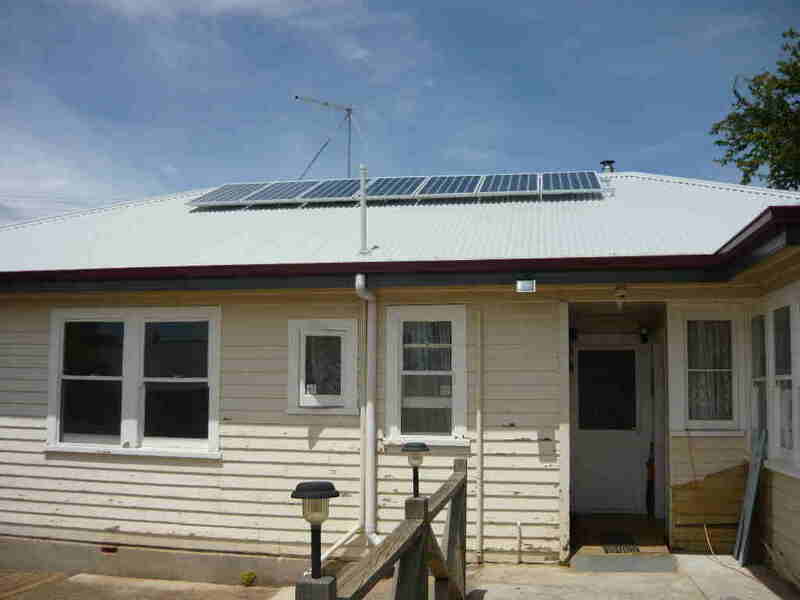 The grants have changed so would pay to talk to Solar installers in your area. Alsl costs are coming down a little.